As a small KhoiKhoi settlement set in the wilds of the Karoo, Matjiesfontein ('Fountain of little reeds') dates back over 300 years. But it was not until a young Scot came onto the scene in 1883 that it attained qute extraordinary fame, becoming renowned far beyond the Cape Colony and, indeed, South Africa. 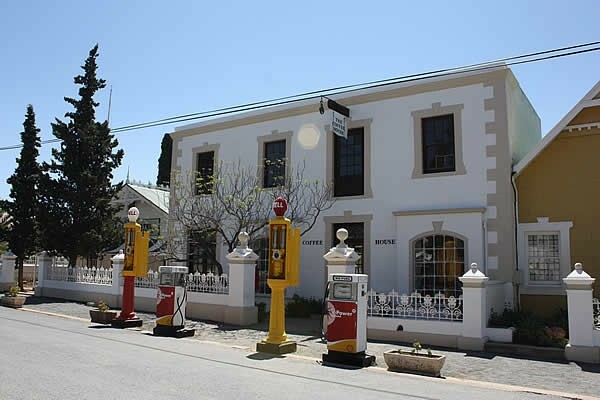 Jimmy Logan moved from Touws River to Matjiesfontein in 1883 and gained the refreshment room concession there in 1884. Between then and the outbreak of the Anglo-Boer War Logan developed his village into a delightful Victorian health and holiday resort to which the rich and famous beat a steady path. In 1975 the entire village was declared a National Heritage Site and to-day is a charming, beautifully restored throwback to the late Victorian era. Jimmy Logan, the son of a minor Scottish railway official, was born in Reston, Berwickshire, in 1857. On leaving school he too joined the NOrth British Railway as a booking clerk at Reston. But a lad of his drive and intelligence needed more of a challenge and, at 17, he went to sea. Two years later, when his Australia-bound sailing ship, the Rockhampton, put into Simons Bay waterlogged as the result of a sever storm round the Cape, he decided to leave th ship. With only £5 in his pocket he walked to Cape Town and there, with his experience in Scotland to back him up, took a job with the infant Cape Colonial railways. He started as a porter on 5s a day but his ability was apparent, his progress meteoric and, by the time he was 20, he was appointed stationmaster of the newlt completed Cape Town Station. At 21, and recently married to Emma Haylett of Cape Town, he became District Superintendent of the stretch of line between Hex River and Prince Albert Road. Logan was stationed at Touws River with Matjiesfontein 55 kms further up the line. Both were on the main route to the north by both road and rail. Streams of travellers poured through by ox-wagon, cart, coach and train on their way to the riches of Kimberley's diamond fields and, later, the gold mines of the Reef. Accommodation and food were at a premium. The railway dining car was yet to be evolved and the station refreshment room was still to be fully exploited. Shrewdly, Jimmy Logan got in at the ground floor. While still in railway employ he was granted the concession for the refreshment room on the Touws River station and soon also became lessee of the local railway-owned Frere Hotel. 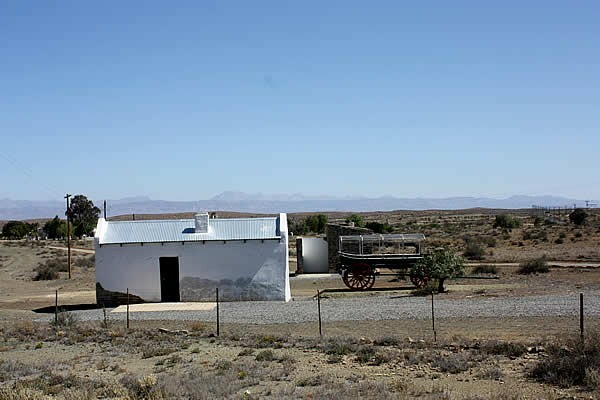 Since coming to Touws River he had been cured of a chest ailment by the dry, clean air of the Karoo and it must have been in 1883 that he decided to move permanently to Matjiesfontein with his wife and two children (Jimmy and Gertrude). He gained the refreshment room concession there in 1884 and from that time forward moved steadily towards his goal of wealth and position. Between then and the outbreak of the Anglo-Boer War Logan developed his village into a delightful Victorian health and holiday resort to which the rich and famous beat a steady path. Olive Schreiner returned again and again. 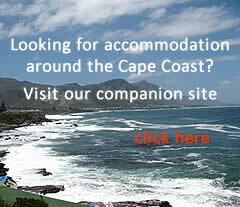 The cottage in which she lived and wwrote "My thoughts on South Africa' is available for overnight accommodation. Rhodes was a frequent visitor. 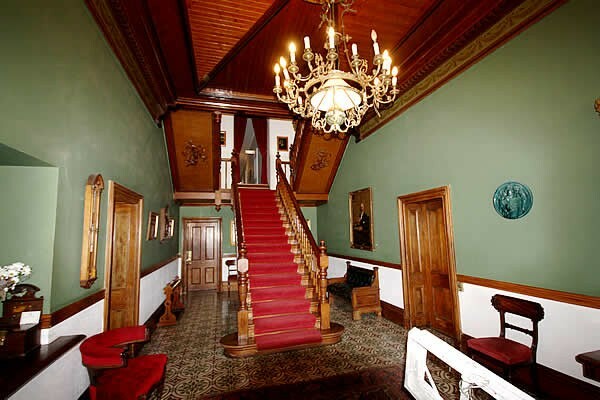 Over the years numerous governors, premiers and leading political figures of the Cape, as well as the Sultan of Zanzibar and many members of the British aristocracy were his guests at his fine house, Tweedside Lodge. 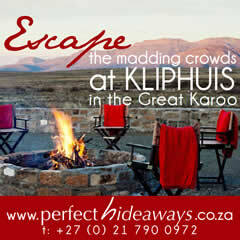 He was known far and wide as "the Laird of Matjiesfontein'. Matjiesfontein also became a refuge for the Jamieson raiders and, later still, headquarters of the Cape Command during the Anglo-Boer War. The village was also the headquarters of his vast business enterprise - at one time running the refreshment room concessions from the Cape through to Bulawayo. Within the first decade of his leaving the railway service he owned 100,000 acres of farmland in and around the district. By the age of 36 he was a member of the old Cape Parliament, serving in both the Lower and Upper Houses for many years. 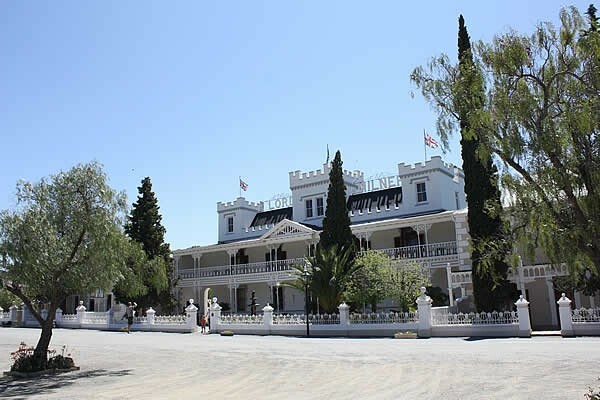 James Douglas Logan died in 1920 and by then his beloved Matjiesfontein was no longer the fashionable resort it had been. Quietly it began to decline until, by-passed by the national road at the end of World War II, it sank into obscurity. But, run down and shabby though it might have been, it never lost its potential - the imaginative Victorian spirit with which Jimmy Logan had imbued it was still there, awaiting rekindling. The whole village was bought in 1968 by David Rawdon and two years later, almost to the day, on 1 November 1970 the Hotel Milner, renamed the Lord Milner,opened its doors. David Rawdon spent a lifetime creating many of South Africa's foremost country hotels. On his return from service as a rear gunner during World War II David, together with his brother Graham, established Rawdon's Hotel in Nottingham Road, Natal. He then turned his attentions to the Cape where he converted the wine farm Lanzerac into the now famous hotel set amongst the Stellenbosch vineyards. Thereafter followed the Marine in Hermanus, the Drostdy at Graaff-Reinet and, of course, his chosen palce Matjiesfontein. In 1975 the entire village was declared a National Heritage Site. 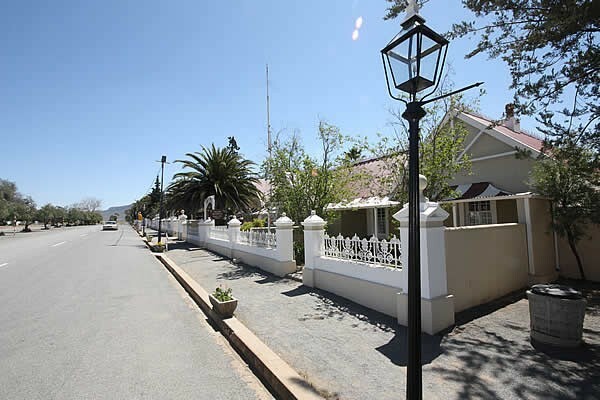 Matjiesfontein became a refuge for the Jamieson raiders and, later still, headquarters of the Cape Command during the Anglo-Boer War. During the Boer War a vast remount camp, with 10,000 troops and 20,000 horses was established on the village outskirts. The veld southwest of the station is still littered with camp remnants including rusty old bully beef and biscuit tins. Part of the recently finished Hotel Milner served as a convalescent hospital for British officers with its central turret serving as an armed lookout post. The historic Monument Cemetery is a popular stop for Anglo-Boer War enthusiasts and history buffs. One of the obelisks on the hillside is a British Army memorial in honour of Major-General Andrew Wauchope, affectionately known as "Red Mick." A hero of Scotland, he was killed at the Battle of Magersfontein, near Kimberley, during the Anglo-Boer War. Wauchope’s grave in the cemetery below is marked by a simple sandstone memorial erected by his wife Jean. 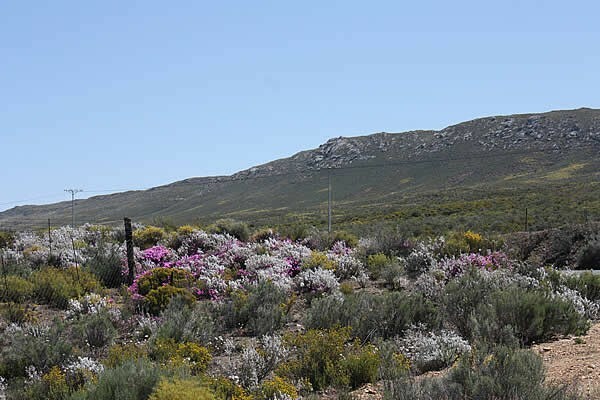 The historic Monument Cemetery lies 10km west of Matjiesfontein (towards Cape Town). 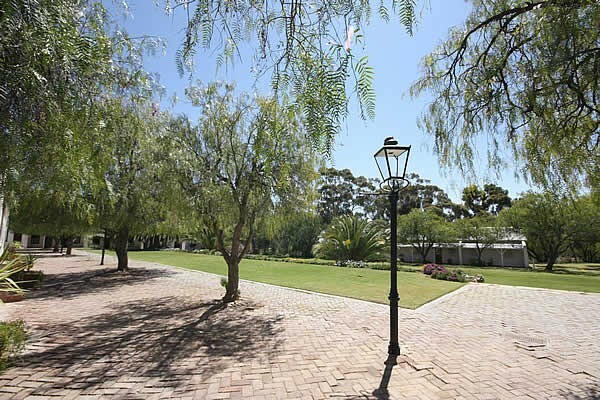 The cemetery is a popular stop for Anglo-Boer War enthusiasts and history buffs.